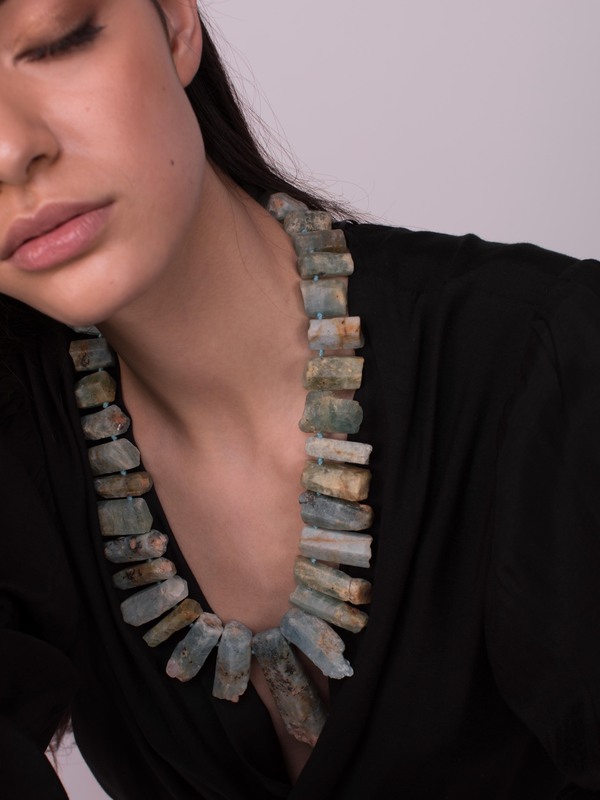 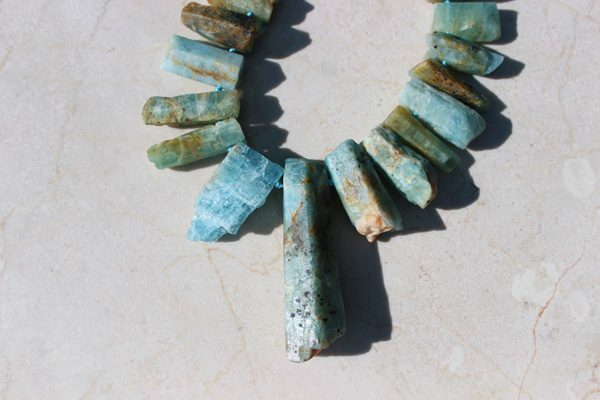 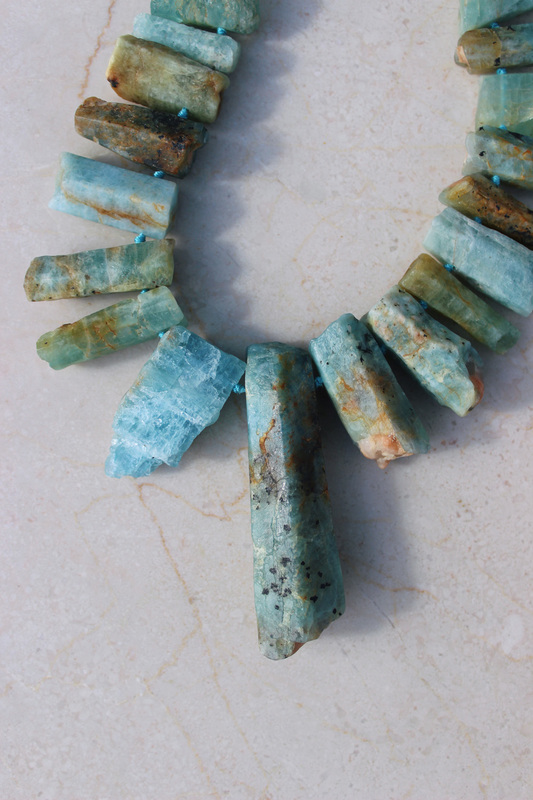 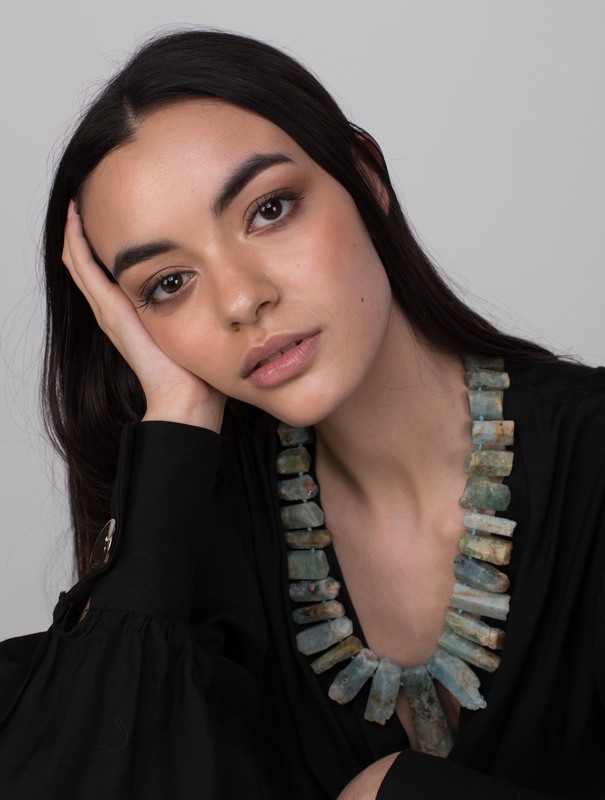 This stunning statement necklace is made from raw, natural Aquamarine from Brazil. 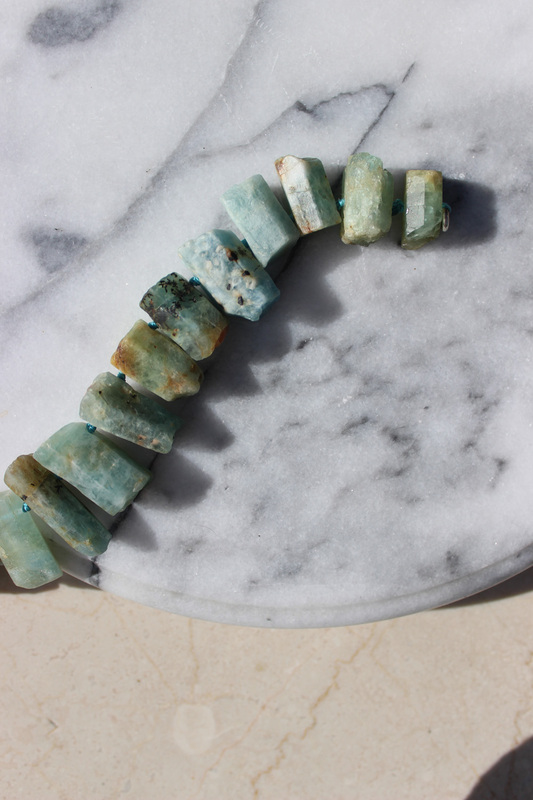 Each individual stone has the most beautiful spectrum of blues and greens. 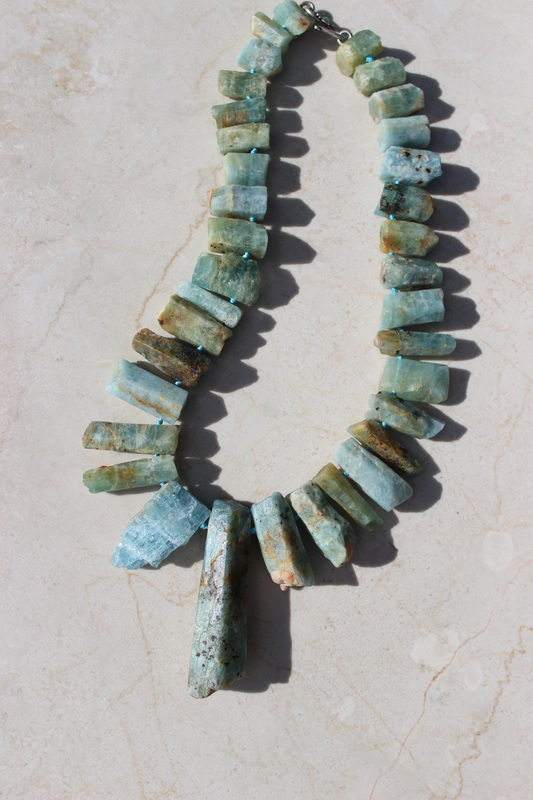 Perfect for the High Priestess within all of us.